Chloe (Elizabeth Hendrickson) attacked Victor (Eric Braeden) in the past on ‘The Young and the Restless’. So the possibility that this presumed dead character is again attempting to seek soapy revenge is not far-fetched. The ‘Moustache’ is one of the people who knows that Chloe is still alive. He allowed her, Kevin (Greg Rikaart), and Bella (Cali May Kinder) to move out of town a few years ago. At that time, Victor’s compassion for Kinder’s character applied to ‘Khloe’ as well. Kevin and Bella briefly returned to Genoa City in 2018, when Rikaart’s character needed to handle another digital Newman matter. He didn’t make mention that Chloe was unstable at that time, but surely her past mental health challenges could be playing into the current J.T. (Thad Luckinbill) storyline. Who would be motivated to frame Victor for the murder of Mr. Hellstrom? It’s fair to consider anyone who has some type of personal tie to J.T. and is seeking revenge due to awareness of his brutal death. But what if the presumed revenge link is to the other guy? 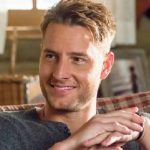 As viewers recall, Victor once cruelly manipulated Chloe’s grief about Delia (Sophie Pollono) into a revenge attack against Adam (as last played by Justin Hartley). Eventually, Chloe faked her own death in order to escape justice for purposely causing that Adam’s supposed death at a cabin in September 2016. She, Kevin, and Bella were last known to be living on the West Coast as of last year. So, Chloe’s perceived escape from the earth could conceivably provide cover to ongoing attacks against Victor and Nikki (Melody Thomas Scott). Questions about Hendrickson’s current role on ‘General Hospital’ preventing Chloe’s reprisal on Y&R could always be countered with a cameo reprisal, or if that’s not possible, a recast. Rikaart’s current role on ‘Days of our Lives’ wouldn’t necessarily preclude Kevin’s return to Y&R in this projected part of the storyline, as Eileen Davidson’s past switch back’s proved. How Chloe would have come to know about J.T.’s fate can only be presumed. But she is yet another plausible character who could be framing Victor and also possibly tormenting Nikki.